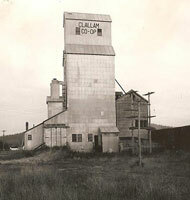 The Clallam Co-op has endured and prospered for over 80 years by adapting as market conditions change. The Co-op has continued in business largely because it has listened well and remained sensitive to continuing market evolution. When it was founded in the middle of the Great Depression, and during the following four decades, The Co-op’s mission was to supply the Olympic Peninsula’s agricultural producers. 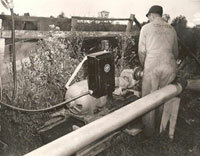 It provided farmers a competitive source for needs ranging from farm machinery and equipment to fuel and eventually feed, grain, and animal supplies. In due course, The Co-op joined other co-ops, like True Value and Cenex (now CHS) to improve access to quality products for retail at competitive prices. Demand for The Co-op’s earlier product lines diminished because farming declined as the decades passed. Tractors and machinery were eventually dropped, as were fuel delivery and well pump installation and service. The store was remodeled and re-merchandised numerous times to keep pace with changing needs of the community. The Co-op eventually transformed into a consumer’s cooperative during the 1970’s opening membership to the community and completely redefining the mission and product lines. In 1998 the fuel station was added. Our Cooperative is part of something big – all geared towards serving America’s farmers and consumers. In the present decade, heightened competition brings new price pressure while alternatives sources are growing, giving customers more choices. Yet The Co-op still takes a proactive approach toward competition, closely attending to and meeting the needs of the community. Today’s market is calling for new adaptive responses. A cooperative is a business owned collectively by its members who share in the benefits. The Co-op’s purpose is to supply its customers with a product, marketing assistance or services. While cooperatives have much in common with other businesses, there are some differences. Profits, which in our industry are known as “savings” (i.e., money left over each year after costs of doing business are met), may be returned to the members. At least 20% of these savings are returned in cash, the balance in equity. This equity may be retired with cash at a later date, depending upon the co-op’s policies and available funds. Cooperatives operate on a one-member, one vote policy. 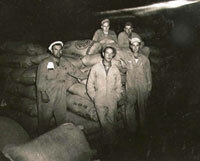 Every member has an equal voice in the cooperative. The purpose of our cooperative is to provide quality products and services, at the lowest possible cost, to our customers. We believe it is important to deliver services in such a way that our customers will be happy and satisfied. Good service to our customers really takes a team effort-one that grows out of a group of employees who are knowledgeable, skilled, industrious and positive. info@theco-opfarmandgarden.com or call us at 1-360-683-4111 and ask for the business office. Patronage dividends allow us to strengthen our co-op so we can continue to serve our community now and in the future. Every year that the Co-op is profitable, our board will have the option of allocating dividends to owners with some being retained as needed and some being distributed as deemed necessary. The Board of Directors will determine the percentage of the Patronage Dividend that is to be retained. This is done on a yearly basis. This amount will be used by the Co-op to operate, to grow, and to achieve our Ends. Your dividend is related to how much you shop at the Co-op, how successful we are as a business, and the expenses we face in a given year. The more successful we are, and the more you contribute to that success, the more you could get refunded. In order to record your purchase, the cashier asks for your Owner number before each transaction. All merchandise rung through under your number is recorded by our system.